Openwork, eight-pointed star brooch decorated with black and white enamel in both champleve and pique styles. 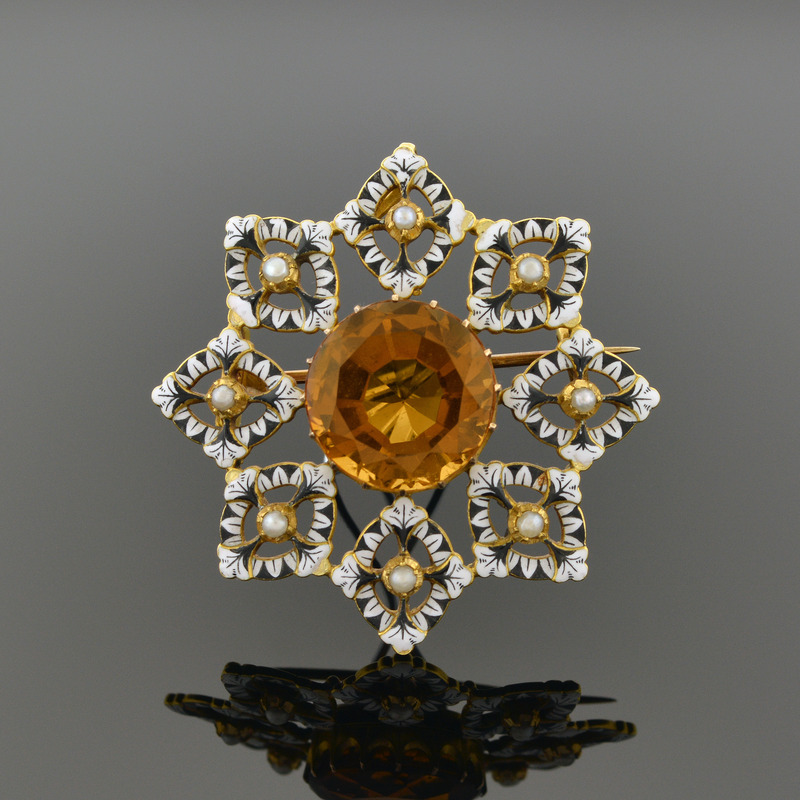 Each point is accented by a natural pearl at its center, and the eight points surround a large round orange zircon. Signed "C&AG" with original fitted leather case handcrafted by Guichard.